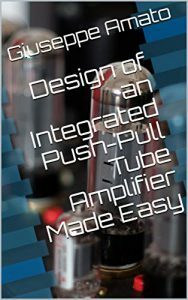 This free guide discusses all relevant aspects for an integrated push-pull vacuum tube amplifier design, including the power supply unit. 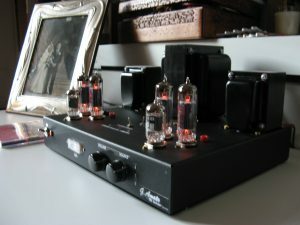 To clarify the various concepts, many practical examples use EL34, EL84, and 12AX7 vacuum tubes to design the various parts of the circuits and to compute the values of the needed components. Furthermore, the guide also contains a step by step design of an integrated push-pull vacuum tube amplifier, using EL84 power tubes, leveraging on all the notions introduced. If you prefer to immediately start reading the full text for free, you can directly jump to the summary of content. Elsewhere, please find below an overview of what is in the guide. First of all, after an introduction to the guide, the basic principles to understand vacuum tubes are discussed. Certainly, this is needed by the non-initiated. However, If you already know what vacuum tubes are and how they operate, you can skip this part. 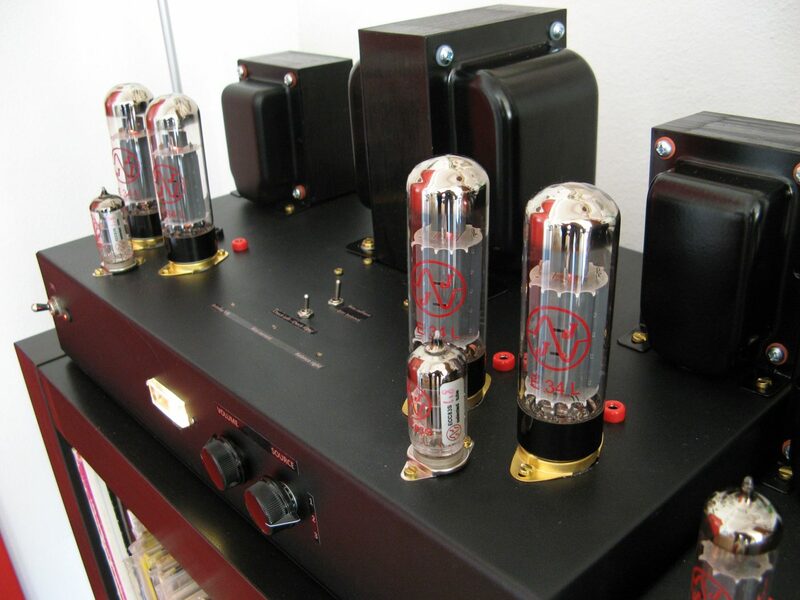 Then, the guide discusses how vacuum tubes can be used as amplifiers. Most notably, here, you will learn the concepts of operating conditions, loadline, biasing techniques, and amplifier classes. Continuing, the guide discusses how to design an integrated push-pull vacuum tube amplifier. To do so, it starts from the single-ended configuration, then it introduces the push-pull configuration. Consequently, the various needed stages (power, phase-split, and input stages), and global negative feedback are discussed in details. A significant part of the guide is also dedicated to the power supply unit design for a vacuum tube amplifier. First, it introduces the rectifier configurations and filters to reduce voltage ripple, and to have a quiet amplifier. Then, it explains how to estimate the expected output DC voltage, ripple, and the current delivered. Furthermore, it also discusses how to design the power supplies for the fixed bias circuit and for the filaments of the vacuum tubes. 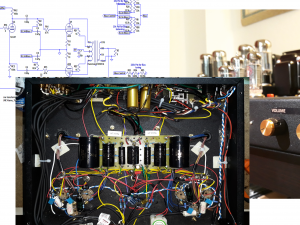 Finally, the guide goes through a step by step design of an integrated push-pull amplifier with EL84 vacuum tubes in ultralinear configuration. Most noteworthy, input and concertina stages, based on 12AX7 tubes, are directly coupled. First the guide discusses the design of the power stage, the phase-split, and the input stage. Then, it discusses the design of the global negative feedback loop. Finally, it also provides the design of the corresponding power supply unit. Copyright © 2018 – Giuseppe Amato. All material on this guide (pictures and text etc.) is covered by Copyright and all rights are reserved. No part of this guide may be reproduced without explicit permission of the author.